Paper Players - Summer time theme - for me, that's graduation time! I'm using a set by 'Inspired by Stamping' called The Sky's The Limit. I like the sentiments and the selection of balloon styles. Look at the basket above: HAD to include pearls somewhere...just HAD to! Although I've used a lace screen print by Hambly, I also included some genuine crochet trim, and twine, too. And I wanted to show you my new personalized stamp, which I bought from an Etsy shop called JLMould. She does custom stamps, or offers standard styles. I created my own look. I bought a light tent kit HERE, and it includes the two lights and the tent. It's a pretty big tent, but if it were much smaller, I would not be able to get good shots. I don't know how to explain, but trust me. ;-) If you look closely, there IS a small light shining from the top of the tent. Please ignore that. I bought a clip-on LED lamp from Target, to see if that might aid in the lighting situation, but it contributed nothing. It's going back to the store. Most of the photos you've seen on my blog for the last month or so have been taken in that tent, using only the two side lamps. 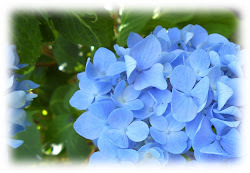 I use a program called GIMP (free download) - which is very similar to Adobe PhotoShop - to photo edit all my pix. If you have any questions, please feel free to email me (it's on my sidebar). WOW! That is a HUGE light tent! It sure does a great job for you!! Beautiful card! Love the 'lace' stamp! And thanks for the info on the light tent. Mine just came and I'm in the process of clearing a place to set it up!! I'm so looking forward to having consistently good pics of my projects! Love all the one lace and those pearls - perfect! That stamp you had made is very professional! Wow, that is worth framing in itself! Just kidding! Your light set up is fantastic - we still don't even have a camera. Great job as always. WOW!! I'm with Vicki, that is Huge light tent, but your cards come out so nice, so it's all worth it. I love card, Colleen. And I LOVE to put pearls on everything too. wow I love how you stage your cards...thanks for sharing how you take your pictures...this card is amazing..
Love this card Colleen! The stamps and sentiment are great. Love how you added the lace and pearls - so you!! :) I could use a light tent, I got an Ott light and it helps me take pictures at night, but I need to take better pics! Hands down my new fav from you Colleen! Love the shabby vintage feel of the lace background showcasing those sweet polka dot clouds and striped balloon. Wow Colleen! I can see why you want this card to stay in the family. I love the vintage feel created by the lace. Those clouds are adorable! I would not have thought of using polka dots. Lov this card! Very pretty...great stamp too, I've been thinking of getting a more professional one too thanks for the shop name. What a great card Colleen! Love the mix of images with the bands of lace- super! Congrats on the graduation! Oooooooo! Wow, I sure like your Sky's the Limit card, Colleen! Great trims, and I've never seen those Hambly screen prints before. They are so intriguing! This makes an outstanding graduation card. I just love it! And you've nailed each and every challenge. Yay!! WOW!! I adore this card....that lace speaks to me! Really beautiful take on the challenges and a true treasure. Love your card, Colleen - it's so beautiful! What a perfect day for me to visit - I just posted how I needed to work on my lighting set up for my pictures. So good to see how you set yours up. Also, thanks for much for visiting my blog and leaving me such a sweet comment. 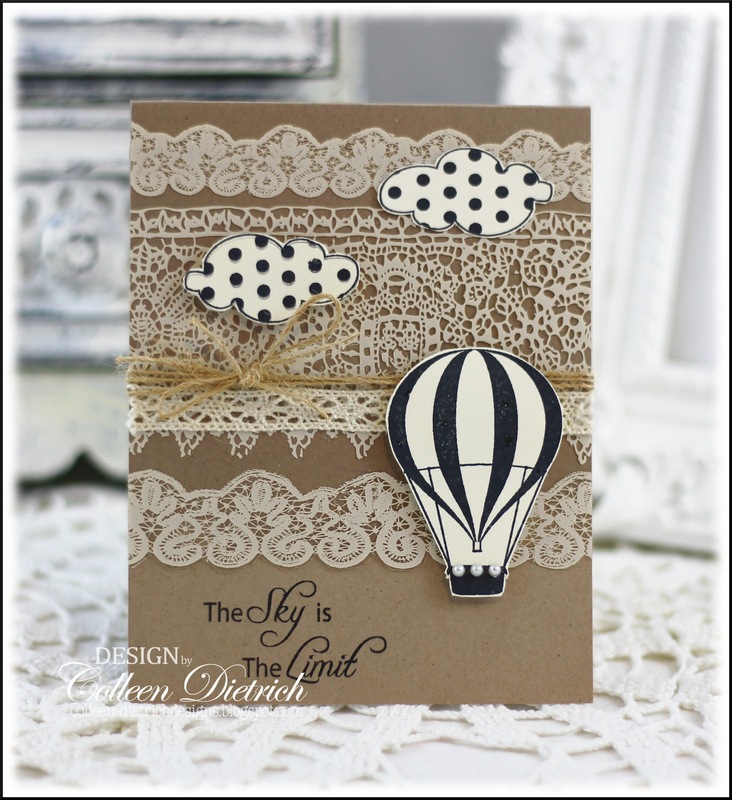 Lovely lace card and the combination of the hot air balloon makes the card special Colleen! Aww... I love your dotted clouds too - it's so creative! Lastly, your personalised stamp is very classy! Good luck with the sale of your cards - I've been trying to sell mine but not too much luck! okay first of all... WOW is the word for your over-the-top-gorgeous beauty of a card! Good decision; keep it in the family! Your setup looks wonderful, I dont have this privilege but I love taking pictures in day time on the roof top. Thank you for joining us this week at Fab'n'Funky! Oh my gosh, how seriously FUN is that balloon card with all that gorgeous lace!! Love it! Gorgeous card...Thanks for joining us at Fab'n'Funky this week. I love your card! The lace looks like clouds for the balloon to float among. Just lovely! 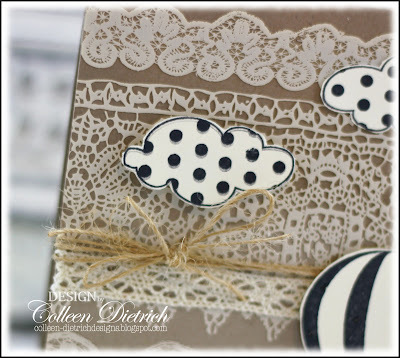 Eeeek, love the polka dotted clouds!!! Nice collection of lace you have there too - a little enabling by a certain someone we both know and love?? ;) Great card! This card look amazing my friend. I just love it.... All that Lace is so yummy! This card is sooooooo gorgeous!! Thanks for playing in the Stampendous! June Summer challenge!!! Absolutely gorgeous card! 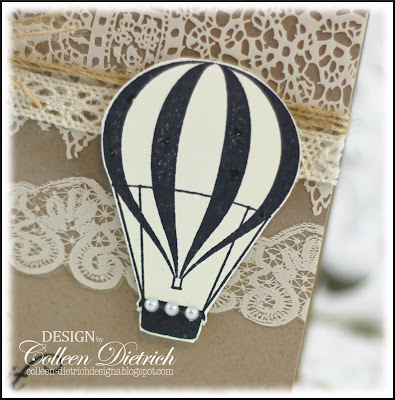 I love the design and the hot air balloon is so fun and perfect sentiment!! Beautiful! Love the card, Colleen. The dotted balloons have my name on them...too cute. Great laces, too. I pinned a similar setup on Pinterest, since I need one. I just need to figure out where I would put it. Blessings! love the lace card and envy your collection of lace. Great graduation card that reminds me that I need to get one out. It's already going to be late. Ack! Thanks for all the links. Your pictures have always been really good, but I'm sure the tent makes it lots easier to get good pictures. I love your little backdrop display too. Oh, my gracious! All that lace looks absolutely delish on your kraft base! Yum! Yum! And I adore your personalized stamp! O.M.Goodness! I'm in LOVE with this ... STUNNINGLY FABulous!! Sweet card Colleen! Hot air balloons always make me think of summer weather...that light tent is amazing! I need to get one! Thanks for joining us at the Paper Players. Colleen, this card is absolutely STUNNING and I will be featuring your design on the Feature Me Friday segment of The Kraft Journal blog on Friday June 15, please be sure to stop by the blog on that day (or any time thereafter) to pick up your Featured Artist button and thanks so much for playing along with us at The Kraft Journal too! Love that inspiration pic, and you've really done it justice! I was wondering how you were taking your pictures recently...they look fabulous! Doesn't matter what the big picture looks like as long as your cards shine...and boy, they sure do! What a wonderful card. Love the lace,very creative. Thank you for playing along with us at the Stampendous Saturday Challenge. Well, the cards are just gorgeous, but I was so HAPPY to see your light tent set-up! I will be ordering everything you have. 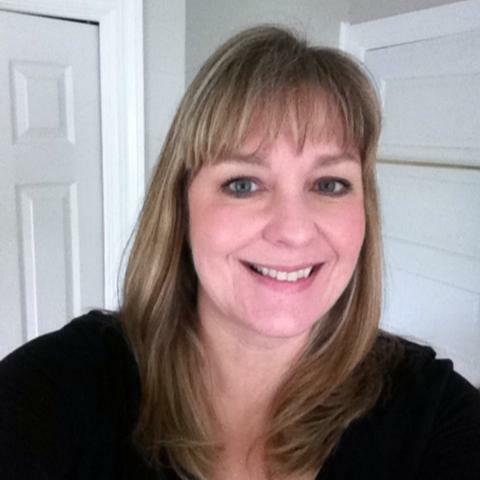 Your elegant creations are photographed so well, Colleen! 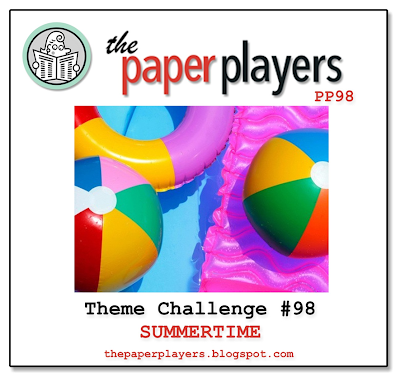 Play Date Cafe 135 - Happy Summer!